The African Society for Laboratory Medicine (ASLM) held a strategic planning retreat in Addis Ababa, Ethiopia from 26 June to 29 June 2017. Since it was launched 6 years ago, ASLM has grown in expertise and visibility, and has transitioned from a lean core team at the headquarters in Addis Ababa to a 20-person staff based not only in Addis Ababa but across the world. The time has come for ASLM to build upon lessons learnt during its first years and to adapt to the evolution of health needs and the landscape of global health players in Africa. 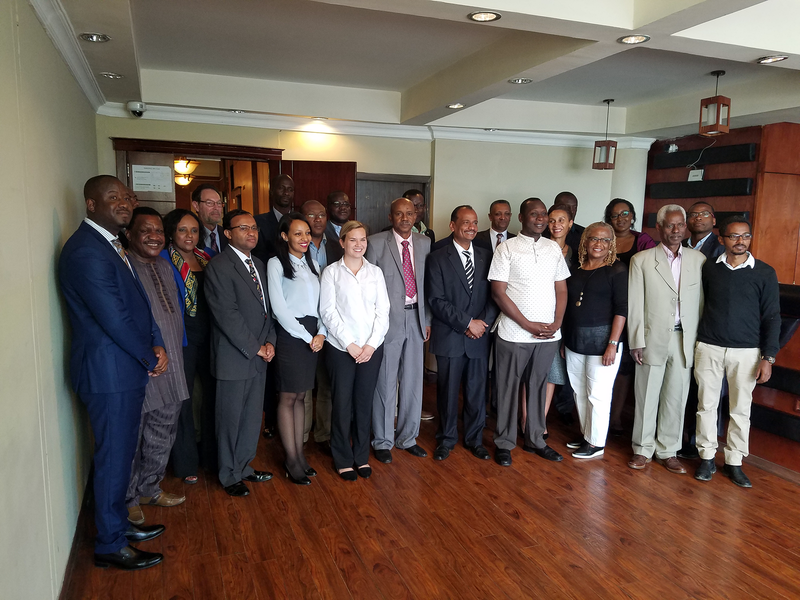 Under the leadership of Dr Ali Elbireer, CEO, ASLM team members from Mali, Burkina Faso, Cameroon, Zimbabwe, Uganda, Nigeria, Sudan, Ethiopia, the US and France collectively reviewed the past achievements of the organization, and proposed revisions to ASLM’s vision, mission and strategic goals for 2020. ASLM was assisted by long-term partners and stakeholders from the Association of Public Health Laboratories (APHL), FIND, the Clinical & Laboratory Standards Institute (CLSI), the Ethiopian Public Health Institute (EPHI) and the ASLM Ambassadors Programme. The four-day session was facilitated by Dr Eric Blank from APHL and local consultants from the Wisdom Consulting agency. This mid-term review laid the basis for the formulation of ASLM’s revised strategic goals. In the coming weeks, a draft of the ASLM strategic plan will be submitted to the ASLM Board of Directors and strategic partners for feedback and input. Professor Alash’le Abimiku, Chair of the ASLM Board of Directors, expressed the Board’s support of the process and its outcomes. “The ASLM board is pleased to see that ASLM, in the true character of a Pan African organization, has brought together the finest minds to deliberate on how best it can serve the continent,” she said. Once agreed upon and endorsed by the ASLM Board of Directors, the revised ASLM strategic plan will provide the framework for continuing to advance laboratory medicine in Africa and further improve the global relevance of ASLM.